Get the Callback. Book the Commercial. Casting Loop offers a variety of learning opportunities for commercial actors. Get in it! 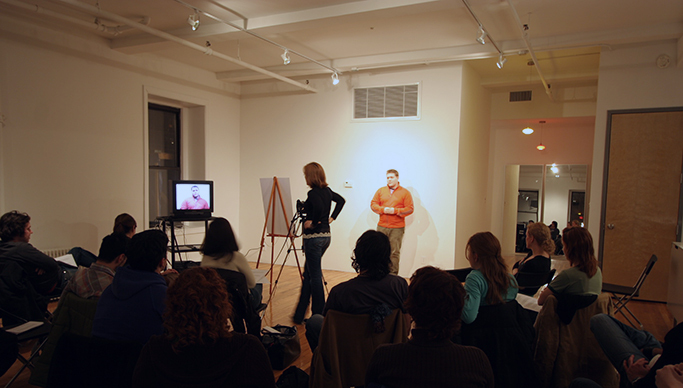 Find a class or workshop and learn how to audition for television commercials from industry insiders. Make connections with NYC's premier casting directors, talent agents, and commercial directors. Apply your new skills and knowledge to help you book commercial jobs for leading brands. Talk 1-on-1 on the phone with Casting Director Brooke Thomas to get advice. Ask Brooke anything about auditioning, callbacks, talent agents, headshots, unions, and more. It’s your call! Casting Directors Brooke Thomas and Mary Egan Callahan have been teaching this award-winning on-camera commercial intensive class since 2001 under the name "Brooke and Mary." It is a 3-night class and always sells-out. Meet 6 commercial casting directors in one night. Meet and work on-camera with legit casting director James Calleri. Keep the momentum going with Brooke and Mary and special guest CD from top casting office. Our current acting classes, actor workshops, and one-on-one consultations are for everyone from experienced actors to curious "real people" who wish to hone their auditioning skills and learn about the commercial acting business. In Manhattan our acting classes are held in loft studios in both SoHo and the Meatpacking District, and we'll soon be offering online acting classes too. Casting Loop is led by veteran casting director, Brooke Thomas, owner of Brooke Thomas Casting, along with a group of premier casting directors, talent agents, and commercial directors who are the instructors in various acting courses.